Partner @ H-F & Co.
Adi is a founding partner at H-F & Co. and leads its IP, IT and Tech-Transactions practice. Adi is a leading expert in intellectual property law, privacy and data protection law and is named by 1000 IAM World’s Leading Patents Professionals ranking among the most recommended transactional IP lawyers in Israel. Adi’s practice focuses on representing technology clients in their complex commercial IP and tech-transactions and on handling the IP, data protection and tech regulation aspects of cross-border M&As and VC investments. Adi handles complex cross-border licensing transactions, IP asset sales, R&D agreements, tech-transfer agreements, JVs and other strategic collaborations. Adi regularly negotiates complex Tech-Transactions vis-à-vis the most prominent technology companies in the world. She has also handled the IP, data protection and regulatory aspects of the largest M&A, financing and other key transactions of the Israeli high-tech sector. On the litigation front, Adi represents clients in precedential cutting edge IP related disputes, involving copyrights, open source software, social media, trade secrets and trademarks. 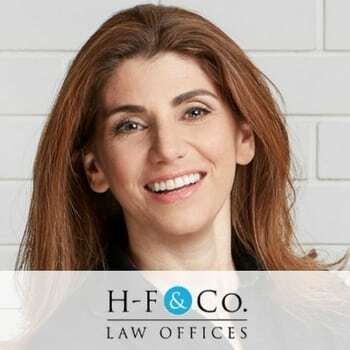 Prior to founding H-F & Co., Adi practiced IP transactional and litigation law in leading U.S. and Israeli law firms, including Heller Ehrman White & McAuliffe and Foley & Lardner in the U.S.. Adi holds masters and doctoral degrees from NYU, focusing on intellectual property law and policy.